Will Barratt Developments' (LON:BDEV) share price keep rising? The UK's largest housebuilder, Barratt Developments (LON:BDEV) has seen its share price rocket in recent months after a positive half-year trading update in February. But does the share price still have further to run? Indeed, knowing the factors that drive relative strength in share prices can help you find profitable momentum trades too. I’m going to use Barratt Developments as an example of how this can work. How has the Barratt Developments (LON:BDEV) share price performed? 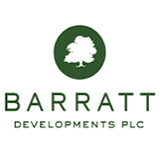 Barratt Developments is an adventurous, large cap stock, operating in two segments: Housebuilding and Commercial Developments. Its market cap currently stands at £6.27 billion. From a low of £4.34 in December 2018, the company's share price has soared to current highs of £6.25, the equivalent of a 44% return in less than 6 months. When assessing its performance over the past year, Barratt Developments' share price has risen by 15.9%, which still sounds pretty good. But it’s important to put this in context and look at the market trend. After all, in a rising market where prices are up across the board, that gain might not be as remarkable as it seems. As it turns out, the FTSE All-Share index is up slightly over the past year, after a tough second half of 2018. Its shares have a 1-year relative strength of 14.3%. Relative strength is a crucial tool in the armoury of technical traders and investors. It’s an instant measure of how a stock has performed in comparison with a benchmark. And while there are no certainties about which way a stock will move next, research shows that price trends often persist. Studies by Narasimhan Jegadeesh and Sheridan Titman, who are leading experts on momentum, show that stocks with the strongest price strength tend to keep up the pace for anywhere up to one year. Under-reaction - prices are slow to move up because investors are hesitant to bid prices higher in stocks that have already been on a strong run. Delayed over-reaction - investors chasing rising prices attract the attention of other investors, who follow them into those trades, pushing prices higher and higher. So the answer is that momentum in stocks with strong relative strength is at least partly caused by a virtuous circle of human emotion. Investors have to constantly re-price these improving shares in their own minds. It won’t always happen - and it might take some time - but when momentum takes over, it can push prices higher and higher. Barratt Developments has clearly been on a strong run recently. Research into momentum suggests that kind of price trend has the potential to continue. But it’s important to remember that while momentum is a powerful driver of stock market returns, it can be also prone to strong pull-backs when sentiment changes - so care is needed. To find out more you might want to take a look at the Barratt Developments StockReport from the award-winning research platform, Stockopedia. StockReports contain a goldmine of information in a single page and can help to inform your investment decisions. To find more stocks like Barratt Developments, you'll need to equip yourself with professional-grade data and screening tools. This kind of information has traditionally been closely guarded by professional fund managers. But our team of financial analysts have carefully constructed this screen - Stockopedia’s Price Momentum - which gives you everything you need. So why not come and take a look? Stockopedia is here to help individual investors beat the markets by being the very best in stock analysis, research & community. Take a 30 day free trial of our extensive multi-award winning service and find out why more than ten thousand global investors can't live without it.